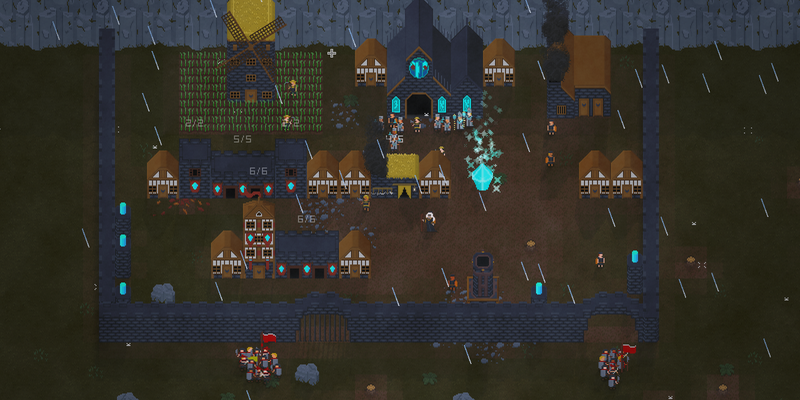 Gods of the Fallen Land is an action-strategy game centered around base building and villager management. Take on the role of a leader trying to rebuild humanity in a broken and dangerous world. The area layout changes with each play through and your villagers are randomly generated, with their own names, appearances, and traits. Build your defenses and keep your followers safe through the night, while collecting and managing your resources during the day to face the ever growing threats. Lead your followers into battle and make strategic decisions on what to develop and build to survive. 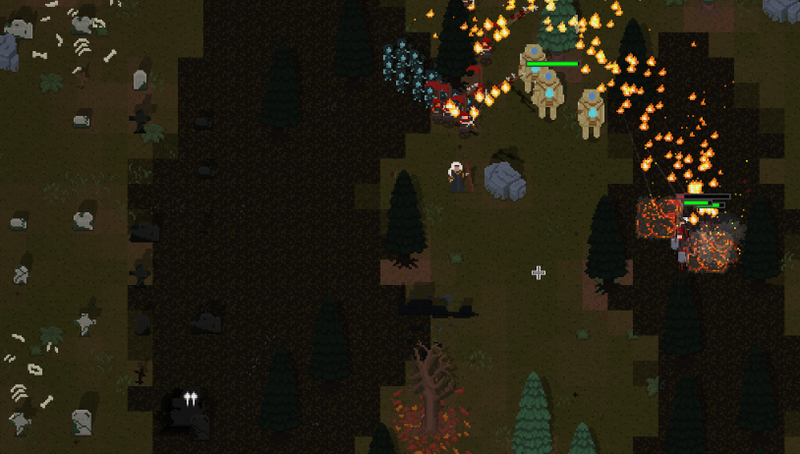 Take lead, manage your village, and prepare your defenses as you fight to survive against the terrors of the night. Standard mode in which you progress towards an ending while fighting stronger enemies. 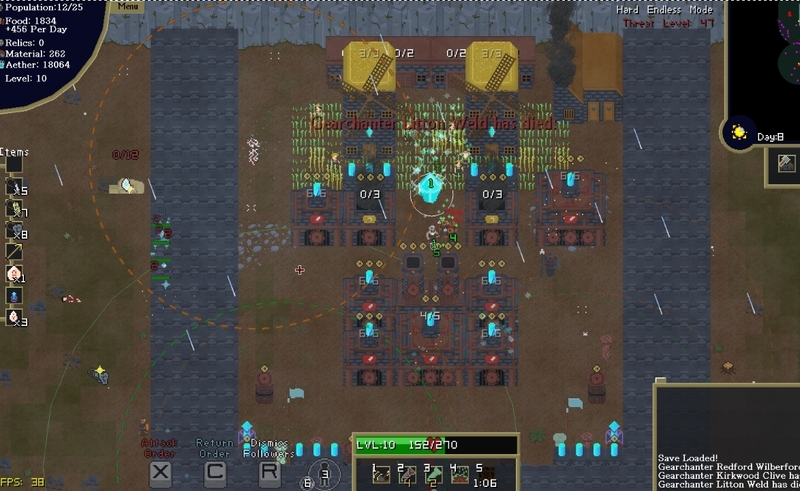 Endless mode which tests the limits of how long you can survive. Assign your followers to various jobs such as gatherers, builders, soldiers, archers, priests and more to have them carry out different duties. Traits give followers unique quirks, allowing them to excel at certain roles. Rough guideline, based on limited testing and the development system. Awesome to get yet another update, keep up the awesome work! Would you be interested in making a bundle with me? Day 4 is harder than Day 10. The "smoke and sulfur" night destroys my base every time I play with the Sage. Even when I start my game trying to build up a good counter (like I thought the infantry rush perk would help, or improving my archer skill tree) they are so hard to hit, and so deadly against buildings, that they just annihilate my base. The only way I've made it through is if my crystal survives, I can rebuild the rest of my town. I think this is why under Steam Achievements it shows that 16% of players have beat the game as the Forgemaster (which has counters to them), but only 3% have beat it as the Sage (which does not). Hey, sorry to start with a criticism. There's a lot I love about the game. The overall loop is great fun, and I love some of the details. The rare weapons are a nice touch, and I like the ability to get rare units like the shaman or golems. I also love the ending, after you beat the Lich. Very creepy. I appreciate the feedback, I've gotten a number of comments about that particular enemy/event so it will be getting tuned down somewhat in the next update. That aside, thank you for your support and I'm glad you enjoyed the game. Thanks for replying, I'm glad you're going to tone that down a bit. By the way, I was blown away by how much of the gameplay you reworked with the Forgemaster. Very impressive! He's just plain better than the Sage, which is a bit of an issue, but the difference in gameplay is also a lot of fun. Very good game, i bought on Steam. But you can add Multiplayer support? PvP or Coop, very fun game. I've played this game quite a while. Playing with the new class in hard - endless mode the game turns literally unplayable after a in-game week. 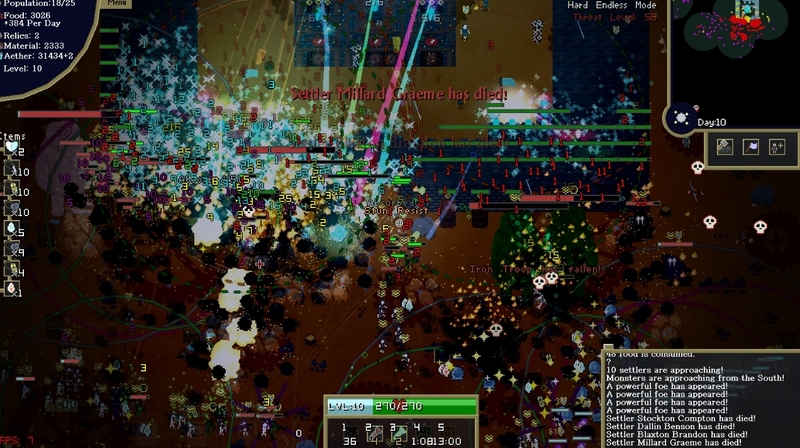 There should be a tweaked version of the effects enemies can have to reduce the amount of lag. For example simply turn enemies red when they're on fire, just like venom works. Instead of the cluster of flames that kills my fps. Aside from that, the game seems to be fairly balanced. Sadly the limit of buildings is a turn-off when it comes to endless plays.. And makes the game terribly boring and repetitive once you beat it once. Since the game itself limits you to a single strategy. Why i can't make giant walls and have 80+ archers, or make a giant kingdom with 100+ infantry and lots of farms to keep them fed. A simple option check to remove the limit of buildings would be awesome and i believe not actually hard to do. And give way more gameplay. As for the AI. A flag for melee / ranged / support units would be awesome. 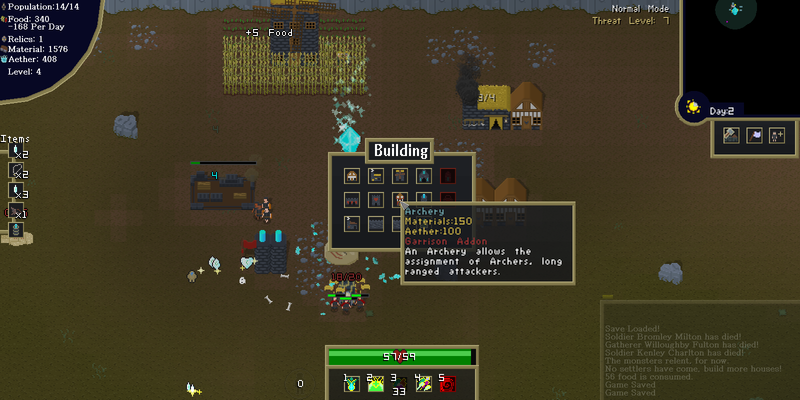 Plus an option to make units hold they ground and simply attack anything at range instead of chasing enemies. For example the clay golems of the forgemaster would rarely use they ranged attacks while the iron golems were tanking the bosses, and it was simply they ability to explode and respawn very quickly what takes them down. Right now, the main feature i'd love to see is just the simply fact of having an optino to remove the limit of buildings, and tweak the special effects for better performance late game. (Enemies growing stronger while keeping the same numbers after day 10+ would also be a nice way to keep the difficulty going without burning out my pc). Removing the level limit would also help, since otherwise you'll just end with a lot of aether that can't be used for anything. Hey, thanks for commenting. I really appreciate in depth feedback like this. Honestly I didn't have a lot of time to test Endless + Hard, I figured an issue like this would pop up but I didn't think it would happen so early into the mode. These things will absolutely be getting tweaked and balanced in the next major update. I already have plans for improving the issue of running out of things to build and spend resources on in Endless mode. There's also a system planned for dynamically reducing the number of particle effects with large numbers of units on the screen, that should also be in the next update. After many trials of this game, I finally made to the ascension phase. I have never realized how important healers were until my last run. The only issue I have with this game is the AI. My healers will run past my soldiers in order to just heal me, derp, healers should prioritize safety over my health. The occasional soldier that thinks he can 1 v 10 a bunch of enemies is an issue as well. There should also be a minimum idol statue count as well. On one run, my map only had 2 statues. Maybe a 4-5 minimum would be great. I like the fact that you can occasionally get unique followers from the idols. What I think the game needs is more interactivity in the maps. The idol offering, and the digging up treasure are cool things to do. Maybe have towers guarded by enemies that house unique followers that are to be rescued. Overall, great game. I hope this game picks up more traction down the line. I agree that healers can be a bit too aggressive with their healing at the moment, I'll probably lower their target range somewhat in the future. The friendly unit AI in general is something I'm hoping to improve. As for the idol statues, there are actually already 4 guaranteed to generate on the map, with a chance at 5. The first 3 will always be one of each resource type too. They can appear anywhere on the map though so they can be a bit hard to find sometimes. I would also definitely like to add more intractable elements in the future too. I'm glad you like the game and I appreciate the support! I have a suggestion for your store page, there are barely any tags for your game. 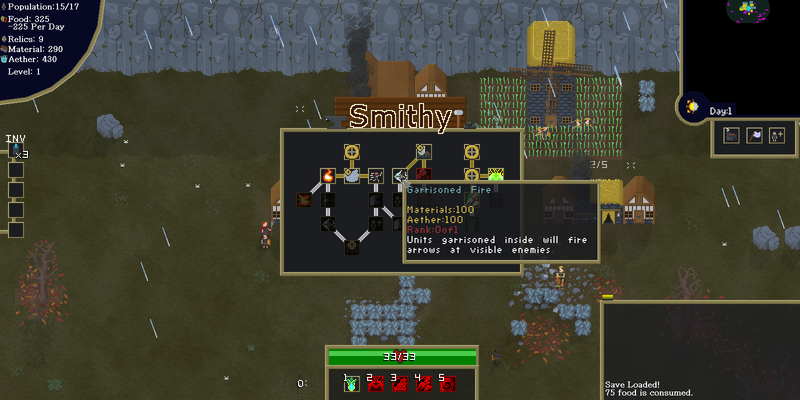 Adding tags like pixel graphics, rogue-like, base building, and management would help people find your game. The only reason I found your game is because I am always eyeing the Upcoming tab for Steam. If you mean the Steam Store page then those tags are mostly user defined so I have little control over them. If you think the game should have those tags you can suggest them on the store page right below where it lists tags. I'll update the itch tags though, thanks. What tags would you personally give it? I appreciate the idea, but feel free to add whatever tags you think fit the game best. i love this game :) is there any plan for linux build? Thanks for your support, I'm glad you like the game! No immediate plans for a Linux version unfortunately but it is something I'd like to have so I wouldn't rule it out. Bought the game, read the controls, jumped in. I don't really feel I was playing very optimally at all, yet I still beat it on my first try. In my opinion it could be a lot more challenging. Dealing with a lot of units in real time is a little unwieldy. I assume this is somewhat intentional to promote its more simplistic nature. Enjoyed the game. Money well spent. Thanks. Thank you for your support, and I'm glad you enjoyed the game! About the difficulty, it can be tricky because everyone has a different perception of it, and it can be hard to get an objective view. I would like to offer more challenging options though, so I'll keep your feedback in mind for future updates. Anything specifically you felt was too easy or otherwise feel like commenting on? I was constantly losing buildings. I must have rebuilt my mills a dozen times. I never used more than a single of each military/support building. I didn't bother with walls until day eight or nine and purchased maybe three upgrades. I know I wasted a lot of time, and kinda put off taking down the cemeteries. I finished the game on day 13, 30 souls under my command, and having only harvested a very tiny portion of the map. I dunno what your intended playtime was, but I feel I just kinda derped around and accidentally happened upon and beat the final level. The shades stealing your guys was neat, but this ended up being far less dangerous than something that could actually deal damage. Thanks for the details, I really appreciate it. There will be some changes regarding difficulty progression in the next update, I'll be sure to take your comments into account. If I then close the game and re-open it, the screen is fully white, and you cannot navigate to the options menu to fix the resolution, I'm fairly certain that like when you tried to load the game earlier, the menu is still there, just not displayed, deleting the options.ini at \AppData\Local\GotFL fixes this issue, but trying to set the resolution to 1920x1080 again will still cause the problem again. Here is what the options.ini looks like when broken. VisualStudioDir="E:\Program Files\Microsoft Visual Studio 11.0"
Thanks for reporting this. While I couldn't recreate the issue with closing and reopening to a blank screen I'm pretty certain I found what was causing the problems. I'll have a fix for it in the next update. Would it be at all possible to include a borderless windowed mode? Unfortunately no, its something I'd like to have but its not really possible at the moment. Certain parts of the game also quite remind me of Enigmata Stellar War. It might be interesting to check it out. Particularly the ancient cannons and other "drop only" buildings. And the waves of enemies are similar too. By the way, just some feedback that I imagine I would probably find interesting if I were the developer. The inclusion of the golems, and being able to control them, was a major selling point for me, there's just something about harnessing ancient technology, particularly the kind of mystical kind that, at least to me, just feels good, plus they feel sort of, special. It reminds me sort of an old-ish game called Spellforce, where you had rune warriors, and almost every one of them was human (in the first game I think they were), but later there were a few special units that were not, my favorite of which was the blades, which were these magical/mystical construct enemies that usually served as the elite units of your enemies. 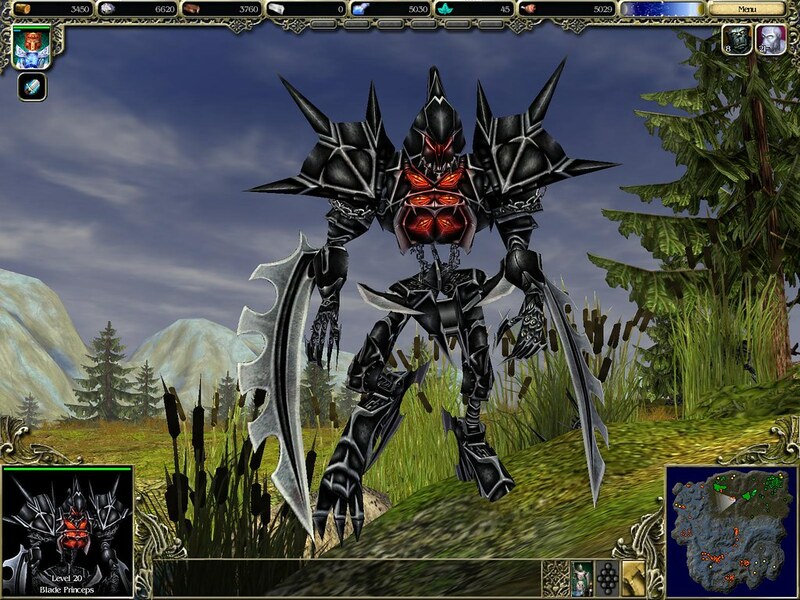 Or in final fantasy tactics, where you have the normal character races etc, but there's a special character you can unlock through a quest called Construct 8 or Worker 8, "It is a robot from the days of Saint Ajora Glabados" So basically a robot that uses lost/ancient technology, similar to your golems. I love that in games, unsure why, but the golems in this serve a similar function. Very interesting, I've actually always really liked the 'ancient recovered technology' concept myself so I understand where you're coming from. I don't know if you found them but there are actually two other 'ancient technology'-like items in the game. Although, they're a little harder harder to find than the golem cores. Yeah, those are the other two. I'll probably expand on them more in the future. Cool, can't wait to see what you do. After playing the game for quite a bit, here are my biggest complaints, and a few suggestions. There seems to be some sort of issue with the AI pathing for the villagers/settlers, I read in the patch notes that you fixed enemies fleeing into walls, but the same thing happens with your own people, this happens a lot if they pick something up, like a chest or a golem etc, that is particularly close to an obstacle, and I find my gatherers in particular doing this a lot. Also, unsure why this is, but at least in full-screen mode, screenshotting the game does not work for me, it produces a white screen. 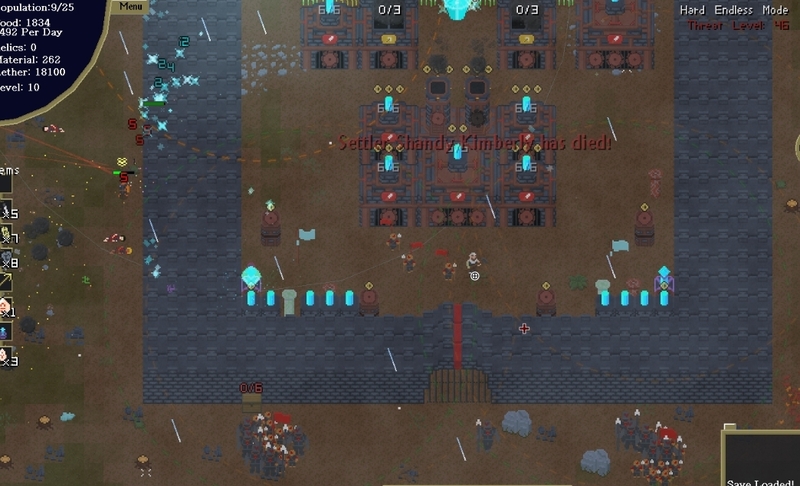 Gates should either have an option to rotate them, or a second building that is a rotated version, building a weird gate sized lump into a wall to fit a vertical gate into the side of a base is weird. I wish the basic towers we could build either had a maximum of 14 or 16, so that we could keep our defenses symmetrical, It's annoying to have one side of a base feel weaker than the other. It would be great if there was an option to remove boulders or the dilapidated brick walls, even if it costed time or resources. And finally a question, to what extent do you intend to continue updating the game? Do you consider 1.0 to have been a finished product and everything else are little extras, a lovely cherry on top, or do you still consider this an ongoing project? Thanks for your time, first purchase I have actually made on Itch.io, all my previous favorite games were free. 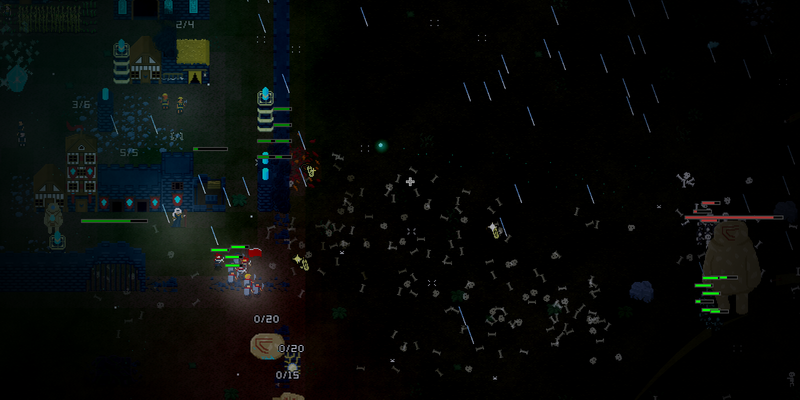 I'm aware of some of the pathing issues, its a separate bug from the enemies fleeing and is a bit more difficult. There should be a fix in the next update though. The fullscreen screenshot issue I wasn't aware of, I'll look into it and see what I can do. I also appreciate the suggestions, I'll keep them in mind. As for the updates, I considered 1.0 complete enough to be released but I always intended to continue developing the game after release. I wanted to gauge peoples interest and get feedback from real players, which has been extremely helpful going forward. I do still consider this on active project, but I wouldn't call it early access or anything like that. You could consider it like a sort of 'soft launch'. While I can't say how long I'll keep updating the game I don't have any plans of stopping development anytime soon. I hope that answers your question. I'm glad my game could be your first purchase on here. Thanks for all of the feedback and suggestions, I'll be sure to take them into account for the next update. Another thing that MIGHT be a nice addition, although I'm not entirely sure about the balancing, would be a forestry, a building that instead of planting crops, re-planted trees for harvesting material, possibly at a slow-ish rate. I'm not sure if it was an intentional decision, but the "enemies" are actually in some ways more "good" than the player, they are protecting all the trees and nature from complete and utter destruction by humans, when I won the game earlier, there were almost no trees left, I had transformed the landscape into a desolate wasteland, and the forces of nature (the enemies) failed to stop me. Slightly poetic, sort of a "Humans Are the Real Monsters" type situation. I never thought of it like that but its kind of interesting that you could see it that way. There isn't much of it in game but the lore that I'd written has some similarities to that kind of situation, completely unrelated to trees though. Also, I appreciate the suggestion. One question I had, what is in endless mode? I assume that's full game only? I started playing the game as a recommendation from a friend, I beat it while at their place, on the verge of buying it myself. I did think I got past day 4 on the demo version, but perhaps I am remembering falsely, and will check now. I see, thank you I'd really appreciate it anyways. 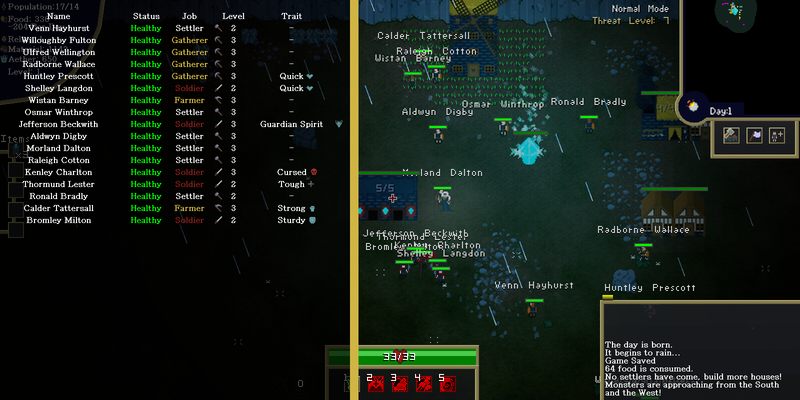 To answer your earlier question, Endless Mode is a sort of endless wave survival mode available in the full game. 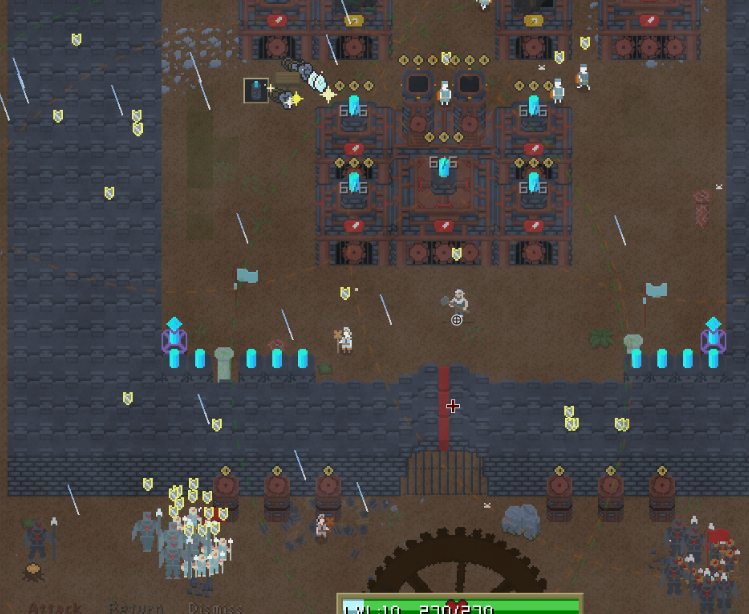 Random events are slightly changed up and crypts will start respawning with defensive structures after the initial few are destroyed. The goal is to just survive as many days as possible. Do you have any intentions on having this game on steam in the future? I'm more than willing to purchase it here, I know you get more from itch.io, is there any chance of itch.io users getting a future steam copy if that's the case? I'm planning to bring the game to steam eventually, nothing is concrete yet though. In the case of a Steam release yes, I'd make sure itch.io buyers would have access to a Steam copy if they wanted it. Also, I checked, got to day 4 and it ended, although I was sure I died on day 5 earlier, maybe I'm remembering wrong. Thanks for checking it out for me, if you can't reproduce the issue then don't worry about it. I also answered your other post regarding a steam release. Is there any way to remove/delete reusable items, that I have simply missed? I feel as though, if I am unable to make any more golems, I may as well restart now. You can click and drag items off of the item bar to drop them on the ground. After awhile on the ground they'll eventually disappear. And the one other question I have about the game, can you, undraft millitary? I don't have many constructors left. Yeah, just select them and reassign them to any house or the crystal and they'll go back to being settlers. When I did that earlier, it wasn't working, the would just stay as soldiers and refuse to build. Anyway, thanks for all the answers, the game is really cool. Before night one is even over I have around 5 threat. I don't know if that's high, but it feels like I am being swamped, I'm probably just doing something stupid. Hello, thanks for your interest in the game. How threat scaling works is mentioned briefly in the game help section on the info or pause menu but it could probably be expanded on. The threat level is mainly tied to your current population as well as how long the game has been going to a lesser degree. If you rapidly expand your population without the defenses and food to support it its easy to attract too many threats and get overwhelmed. Sometimes its better to build other things before building more houses and expanding your population. Likewise expanding too slowly can also cause threats to outpace you, however this happens at a much slower rate. While 5 threat isn't too high, you start with a few free Ward Towers in your item slots, these can really help you out in the beginning. 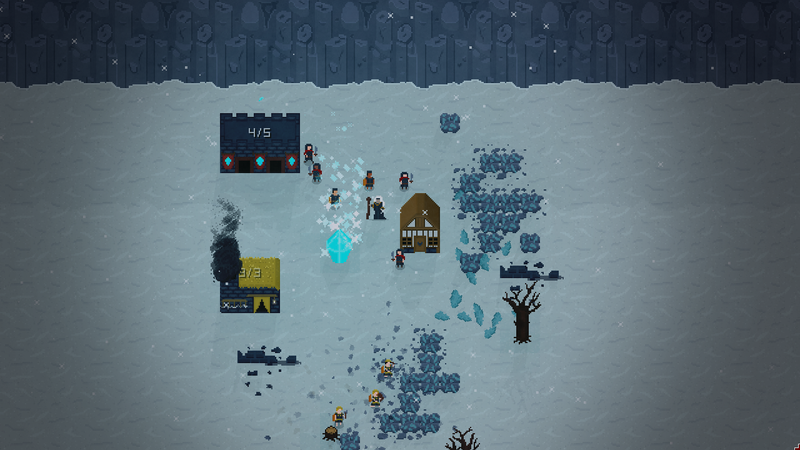 Having followers haul back small buried chests from around the nearby area is also very helpful in the beginning, they'll give a nice boost to your resources as well as some useful items. Thanks for commenting, if you have any other questions I'd be glad to help you with them. Thanks for the tips, I had actually been doing those things, I didn't really change my tactics at all, and am now on Day.... 10 with 20 threat. Version 1.1 and a Demo Version for Gods of the Fallen Land are now available, there's new content along with a lot of balance changes, tweaks, and fixes. If you're interested or you were having any issues with the previous version please try it out. Cannot install or play this game :( When I try to launch in itch, error message appears saying "no executable". If I download your .exe and double click to open, nothing happens. Using Windows 10. Hello, sorry you're running into issues. I just uploaded a version of the game without the installer, it's just a zip archive with the game files and an .exe file. Unfortunately I don't have a Windows 10 system I can test this on but let me know if this solves the issue. Still no luck sorry :( Not getting error messages, it just hangs. Thought it might be a DX9 problem, but I moved the dll to system and still no luck. Any help greatly appreciated. I got a hold of a Windows 10 system and it seems to work fine on my end. It sounds like it may be a memory issue but I really can't say for sure. If you have an integrated and dedicated video card it could be running on the wrong card. (Which is something you would have to resolve with your video cards controls), but these things really should be causing an error message so I'm not sure what the problem is. There's an issue where it occasionally will run but won't show up on the task bar when running, does it show up in task manager, or on the alt + tab menu? After you launch the game, in Task Manager does the "GotFL.exe" process continue running or does it quit? Do you hear any audio after launching the game? Also, if you could send me a DxDiag Information file I may be able to give more specific advice, but I'm sorry I can't be more helpful. Hi I just wanted to say this is a great game! Hey there! To make sure the game works great with the itch.io app, consider distributing portable builds instead of an installer - see this page for more details. Thanks!